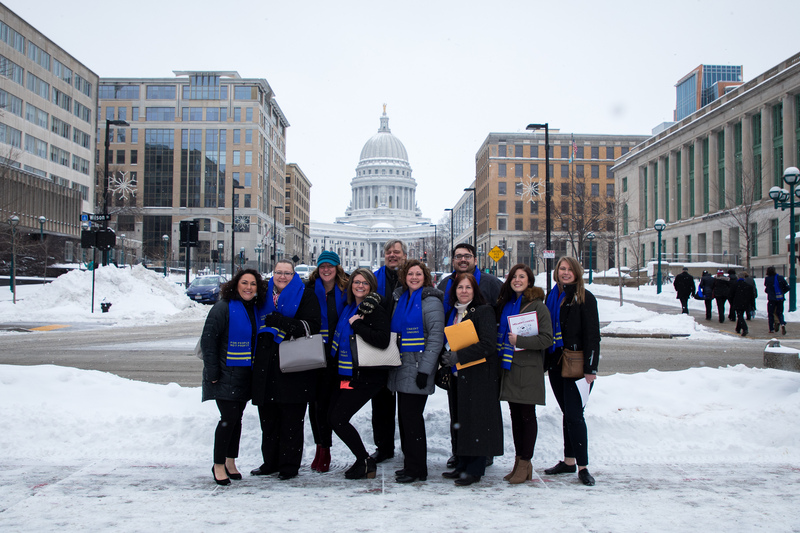 On January 23rd – 25th, the Simplicity CU team SHOWED UP in Madison, WI for the State Government Affairs Conference (GAC) to represent our members, communities, and other area Credit Unions. GAC is a nonpartisan advocacy event hosted by our good friends at the Wisconsin Credit Union League where a ton of Credit Union people (about 350 of us this year) get the chance to go face-to-face with state lawmakers each year. During GAC, Credit Union team members meet in Madison, get a little food in our bellies, and fill our brains with some education to prepare for a long day. 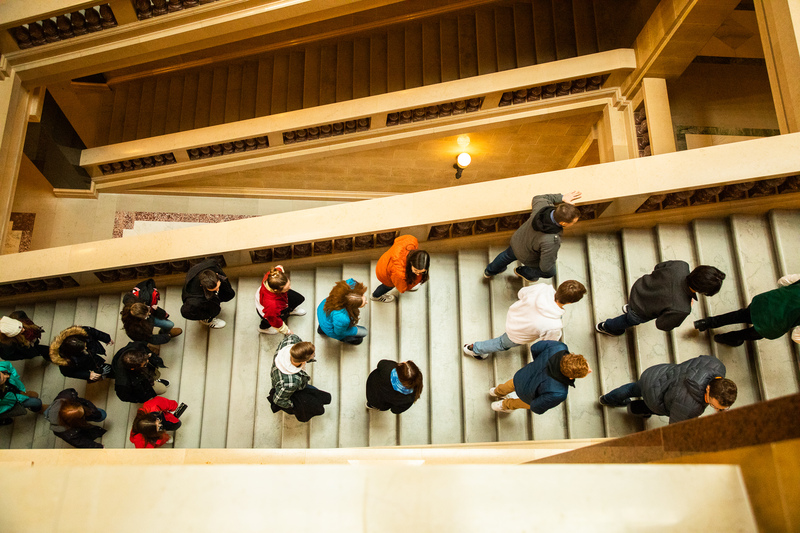 Then we head over to The Capital where we get to tell our state representatives about the 3.2 Million Wisconsin Credit Union members and why it’s so important that they keep supporting you by supporting the Credit Unions that serve you. 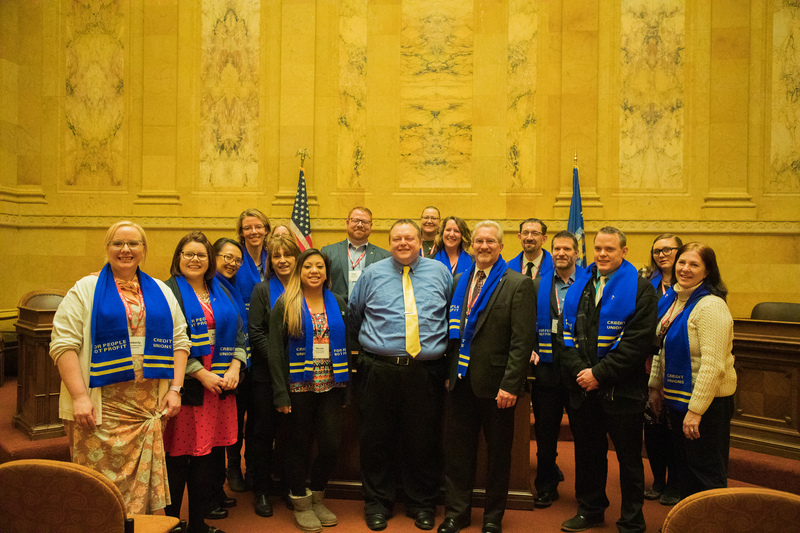 This year we met with Wisconsin State Legislators like Scott Krug, John Spiros, and Jerry Petrowski, as well as the amazing staff of some of the other legislators that represent our area. What did we do in those meetings? Well, we told them about you fine folks, of course. 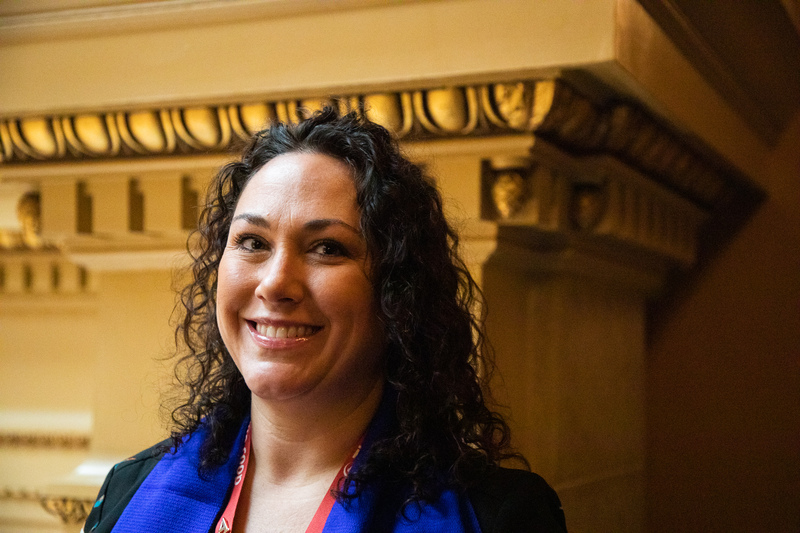 We share the stories from some of the 120 Credit Unions around Wisconsin that have gone out of their way to see, understand, and meet the needs of their communities without consideration of payback or profits. Like when Simplicity CU employees planted and maintained a community garden in Marshfield that donated over 1200 pounds of fresh produce to the food pantry. Maybe we tell them how Credit Unions can – and do – approve small loans for local businesses that the Big Guys might not touch. Or we talk about the more than 100 school branches in Wisconsin and how Credit Unions donate thousands of hours in free financial education to our schools every year, not because it’s making us money, but because it’s making smarter consumers. Sure, those are all things we say, but not to toot our own horns, to remind them that Wisconsin Credit Unions are vital, not just to our state economy, but to real people in the areas they serve. And then we thank them, friend. We’re so lucky to be in Wisconsin where our Legislators are honest-to-gosh Credit Union members and understand who we’re working for. Many long-time state representatives are also life-long Credit Union supporters so know they have your back when it comes to legislation that might make it hard to do the best we can for you and we deeply appreciate it. The truth is, GAC is a great way to get us back in touch with what we really mean by “People helping people” and fired up to do even more. Want to know more about GAC? You can check out some of our pictures below and watch this cool video we made at the 2018 GAC. And take a trip over to the WCUL website to find out more about what Wisconsin’s Credit Unions are doing for their members and communities. Rep. Scott Krug poses with a group of CU employees. Thanks for the visit! !